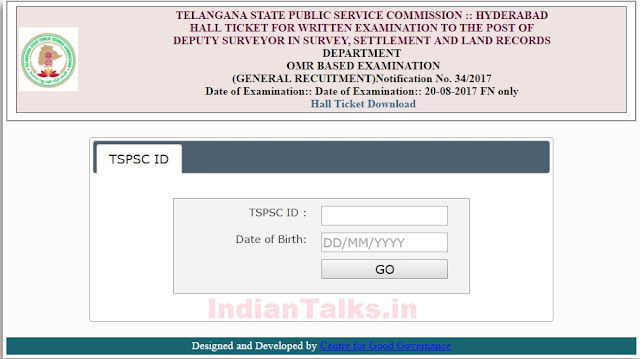 TSPSC Deputy Surveyor Hall Ticket 2017: Telangana State Public Service Commission (TSPSC) 2107 is scheduled to conduct the written examination for the post of Deputy Surveyor in Survey, Settlement and Land Records Department on 20th, August 2017. All the candidates who had applied for the exam are eagerly waiting for the TSPSC Deputy Surveyor Hall Ticket 2017. 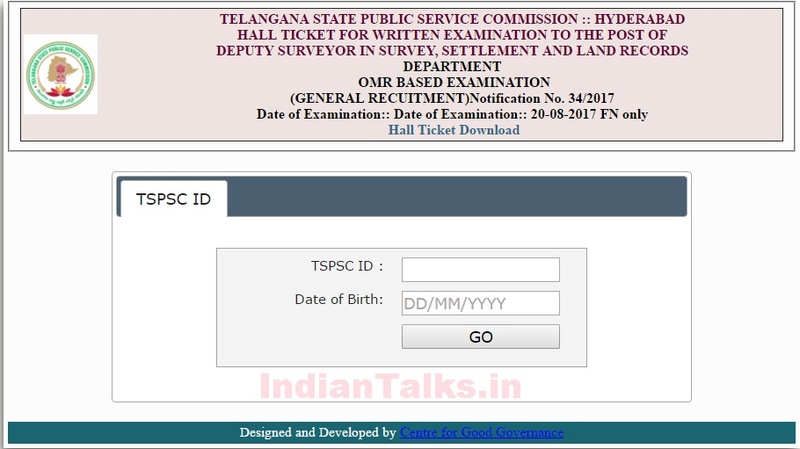 Now, Telangana State Public Service Commission (TSPSC) had released TSPSC Deputy Surveyor 2017 Hall Ticket. Candidates who applied can download the admit card from the official website www.tspsc.gov.in or follow the steps provided below. Date of the Exam: 20th August 2017. You can see TSPSC Deputy Surveyor Hall Ticket 2017 Link. Click that.